Instead of Automated Security Firms Should Go For Managed Security Solution – Why So? A huge misconception is there among enterprise users that artificial intelligence and automation are a better option in every aspect and they’ll reduce the human requirements in a company. But, that’s not true! We agree that AI and automation contributes a lot in increasing the productivity of certain functions and processes. This can be done by adopting monotonous, mechanical, and routine jobs. But these systems are incapable of performing complicated and specialized activities or complying abstract, even the vague commands or imagining creatively and unconventionally. This blog going to explain why automation security solutions must be used for a good cause and replaced by the managed security solution. A Truth Fact – Machines and technology can guide and augment one’s intelligence as well as expertise but, can’t replace them. The above fact cannot be truer for cloud data security. Just think of machines that demand instructions and standards, which they could comply and execute. Also, internet hackers are making use of the latest technologies and coming up with something new and enhance methods to overcome or manipulate systems / technology or AI, undercut policies and capitalize on gaps. 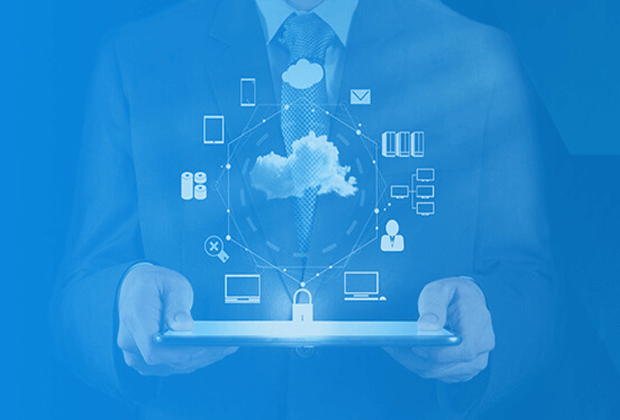 CloudCodes team of Cybersecurity experts believe that cloud data security automation solutions must be used for a good cause and replaced by the managed security solution. Managed Security Solution – What Exactly It Is? Managed security is where the enterprise adopts the help of 3rd party service vendors for the installation of security infrastructure and manage their data protection requirements. Enterprises might co-share the responsibility of data security on the cloud or decide to outsource their requirements to the 3rd party service vendor. In today’s date where total number of internet vulnerabilities and threats are growing regularly, there are multiple products upgrades, which need to be an attempt on a regular basis. For the complete security installation, enterprises need to create heavy investments upfront. This might be possible for SMBs, which operate online in a sole manner. A huge increase in the rate of shifting offline business work on the cloud can be seen on the cloud because they are comparatively inexpensive. Automation Is Restricted To A Point – As per discussed previously, automation could only work for tasks with sufficient amount of standards and ones that are monotonous and regular. For example – regular app scanning activity can be automated. This commands web scanner to perform regular scans and gives notifications to the administrator regarding the current status. Beyond this, a security expert has to make report and analytics sense, make essential modification in his or her system, and ensure that their digital machines and systems are protected. Organizational logical flaws are specifically weaknesses of security, which spread throughout from overlapping of company’s theory or error. These malicious are inserted by internet hackers because they aren’t illegal and will seem like legal requests to the PC or automaton. Here comes the major problem where automated scanners don’t address the business logical vulnerabilities. The Cybersecurity analysts and experts with creative and unconventional thinking and who know each & every aspect of your company will be able to determine the business network gaps prior to the hackers attempting the same. Talking about the managed security solution then, it is programmed in a better manner for the new threats. Automated security approaches can only make itself ready for known attacks and their patterns. But, what about the threats like zero-day attacks? Today, cyber attackers are regularly monitoring internet applications for vulnerabilities and the gaps they could capitalize on. They make use of bots and other advanced technologies for snooping around for it. In an MSS, the Cybersecurity expert conducts penetration testing on a regular basis to address unknown and known threats. Also, they address the app statistics and analytics for studying the pattern of attacker. Automated Apps WAF Is Not So Powerful – A managed and intelligent web application firewall (WAF) is a core part of cloud data security – It is the first defense line against the poor traffic and malicious demands. It regularly monitors the web application for addressing DDoS attacks, threats, and vulnerabilities rapidly patch the identified vulnerabilities until resolved and on its own restricts all the poor traffic. A constant automated WAF acts like a robot, which carries out only well-described and straightforward regulations. Whereas on other hands, a managed WAF supports the custom and complex standards that are based upon the business needs. A smart managed WAF provides the power of decision-making to security analyst to either flag, challenge, or block requests. Study Cloud Data Security Analytics – The cybersecurity analysts and experts deeply study the security analytics rendered by the technical products required to understand and analyze the attacker pattern, MO, etc., and thereby, combine together foolproof Cybersecurity standards. In general, managed security applications are consolidated with a Global threat intelligence environment, which gets constantly updated with the global threat feed. They are consolidated with researches from the past history of threats, which increase the understanding of security analysts. Whether you have to invest your money in adopting automated security solutions or managed security solution vendors – your costing is going to be almost the same. Its just a matter of your understanding and your thinking that is dependent upon the level of requirement for Cyber security in business.